I've been a member for awhile but decided to stop lurking and post little about myself. I grew up in Bedfordshire, England on a farm. 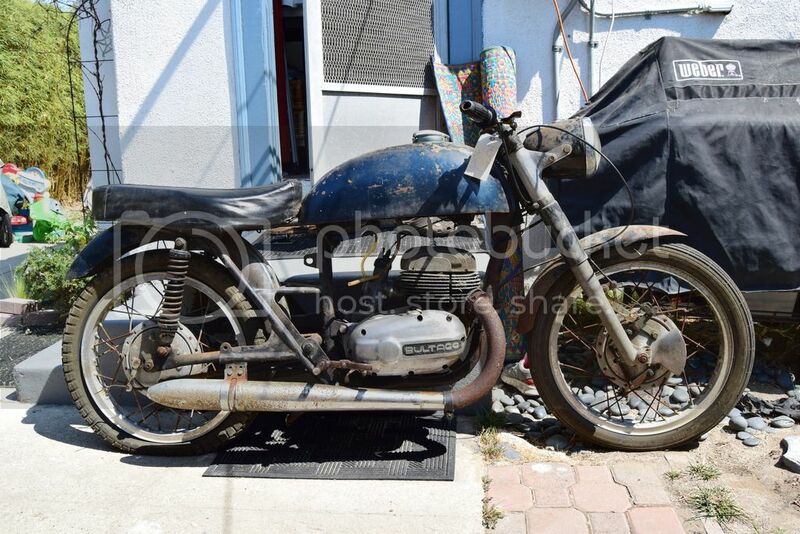 I always had a beater bike, go kart or old car that I'd tinker with on the property. Now I live in Venice CA. I don't have the same luxury of all the space so my collection is limited, but my daily driver is a 63 ford and I have several bikes in the mix. 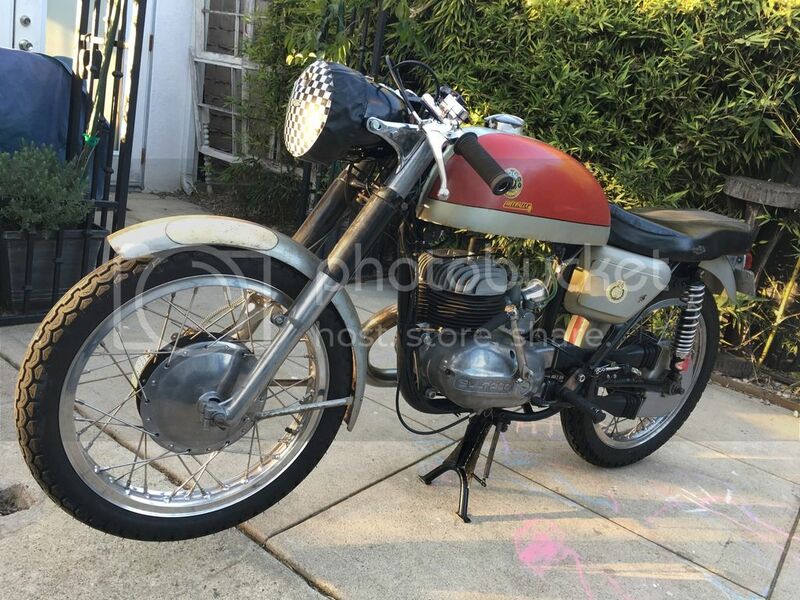 The bike I have running and take on local runs is a 1969 Bultaco Metralla 250 2 stroke. I also have a 1963 200cc Metralla that I'm building out of parts as a Kit America bike. 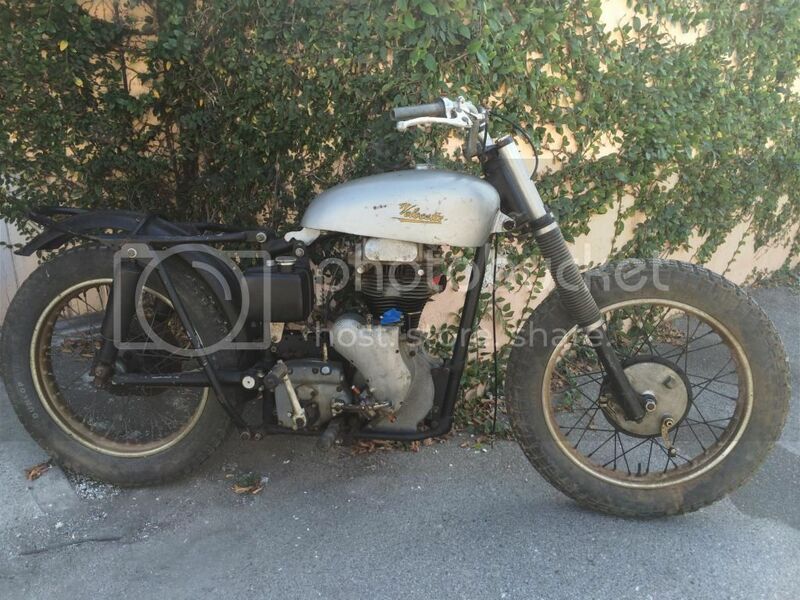 Then I have a Velocette Venom Scrambler that was a racer here in California in the desert. That bike is a labor of love. The engine is rebuilt but I still have a way to go to build it back to a running period correct desert racer. Here are a few pictures of the 250 Metralla. I threw a bid at it on eBay a couple of years ago and won it without trying. It came from the east coast with only 6000 miles on it...although it had been stored for awhile. Trying on a few spare parts. That front fairing is sweet. What’s it made out of? It's fiberglass. 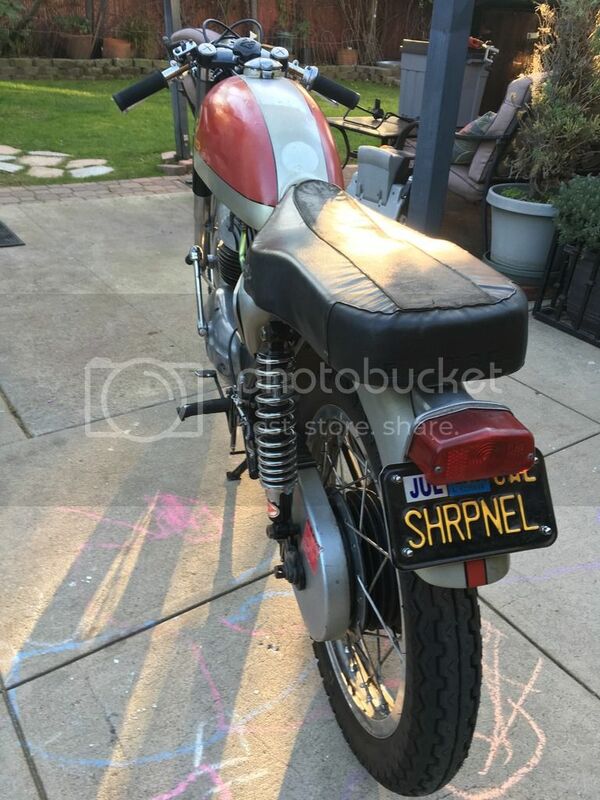 I bought it from a guy near Santa Barbara. 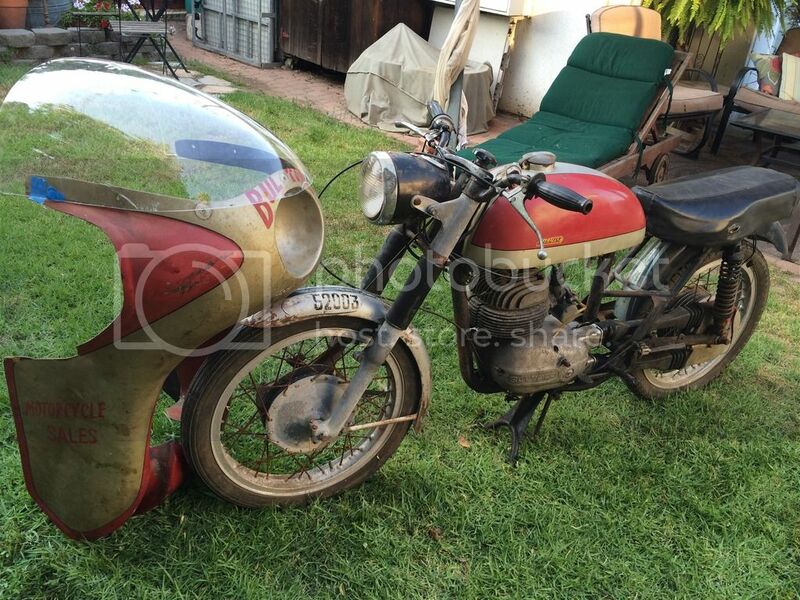 He said it was on a track bike back in the day and was painted to advertise a local Bultaco Dealer. Howdy and my Honda Dream! Howdy and Happy New Year!